What do you think about how many there are means and ways of self-expression in the world? In the era of technological progress, the ways of self-expression are countless. However, despite this, people did not stop painting on the walls. Only not everyone perceives the painted walls as a way of self-expression. For them, it’s more hooliganism than creativity. Many call it vandalism. Graffiti - the freest mean of self-expression. Write, draw what you want, without fear of violating any rules and regulations as there are no taboos and prohibitions in self-expression. In general, complete creative freedom. Constant grumblers never miss the opportunity to say that graffiti is real vandalism. Street art followers, representatives, and explorers see the way of telling the history of the city, sometimes called graffiti as a sign of city life. Discussions about street paintings often agree that this is probably part of an urban culture that is never going to disappear. But in society, this kind of street art is met by mass hostility. Why? Is the big and bright inscription on the wall - art, fashionable and real street art, or an act of vandalism? The name Graffiti comes from Italian. In Italian, graffito, graffiti means writing. 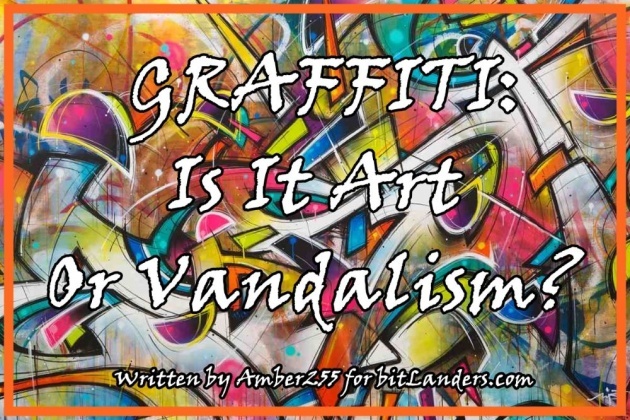 So paintings, drawings, images, words on walls, fences, bridges, underground passages, subway stops or other similar objects are painted in so-called graffiti. 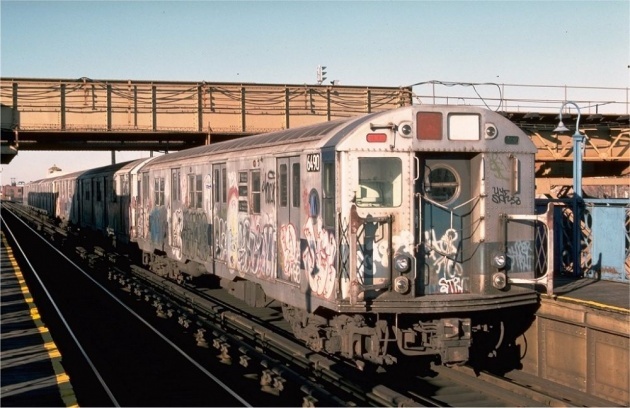 Graffiti can also be found on moving objects such as trains, trams, buses. Graffiti definition is very difficult. This can be the simplest signature, the word or the most complex drawing. Some graffiti present as street art, others as street vandalism, and third as children's' paintings. So what is graffiti - an expression of art or vandalism? Graffiti is an immediately drawing without any sketches. This required a lot of drawers' skills. 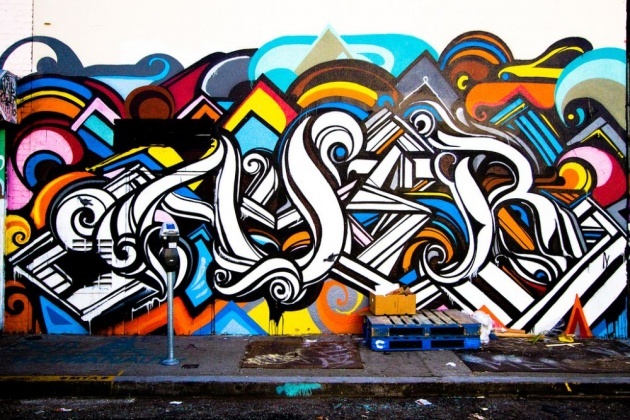 The essence of Graffiti is creative freedom, the individuality of the creator, the original style of drawing, innovation. We have to admit the idea that graffiti is not always born from the pursuit of art, but about the obsession with the younger generation - it is experiencing the consequences of globalization and feeling the need to express themselves. On the other hand, we will not deny that graffiti has become art. With some methods of aging, new styles and tools are being tested that are able to earn a legitimate position among the already existing part of the movement. Let's name it - an art of minority. Graffiti says: pay attention to me! The author wants to escape from his anonymity, to become visible, and famous. But this art is temporary; it stays on the wall for a limited period until it is needed. People created graffiti since ancient times. The drawings of primitive people can already be considered as the graffiti embellishment. They are found even on the Egyptian pyramids and in the ruins of Pompeii. The oldest graffiti counts about 5000 years. The history of graffiti of our time began in the late 1960s in the United States, New York when comic culture began to grow. When the water-resistant felt-tip pens appeared, the youngsters began to paint on mailboxes, telephone booths, stops, and subway walls. It overwhelmed all - young and old ones. At the time, the revolutionary thinkers, whose thoughts were moved on the walls, became particularly popular. It was there that as many people as possible could see them. That was the new street posters. The criminals and the gangs of the world were rapidly joining such painters, marking by graffiti paintings their territories, transmitting some kind of signs, warnings, threats. Interestingly, graffiti began to spread only in the 1970s when aerosol paint dispensers were used. Then this street culture was born. The first drawings on the walls and trains, the first arrests, the attention of the press - that all is the consequence of started to spread the street art. It is no news that people to street paintings in western countries look like to the art - much more freely and with a greater appreciation of cultural added value. 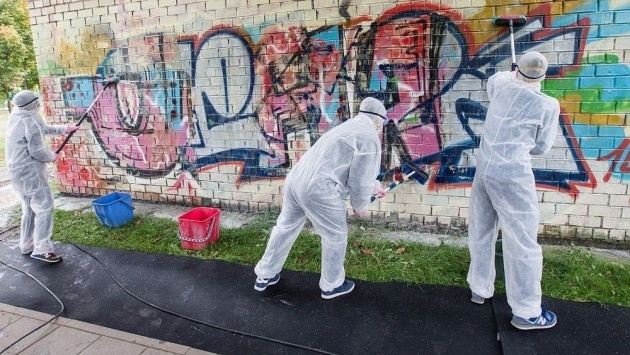 Meanwhile, spaces in Lithuania for graffiti painters is being created rather inefficiently. The number of clients or project promoters has almost not increased - yet it is not easy to change the approach. 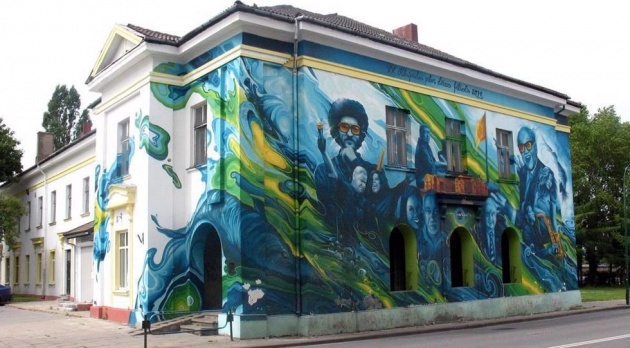 Graffiti appeared in Lithuania around 1993-1994. Originally timid individual inscriptions, names, swear words, obscene drawings gradually grew into increasingly sophisticated inscriptions and drawings in the technical sense. However, graffiti painters, called graffitists, were not happily met in Lithuania; on the contrary, they caused a wave of resentment that continues to date. In any way, anywhere daubs on the buildings made without skills look loathsome. Catching and punishing such graffiti "masters" for the destruction of buildings is very difficult - "drawings" are illegally born without asking the permission to the building owners. Graffitists usually work at night to avoid responsibility. It is nice to pass through truly artistic-sprayed stands and temporary concrete fences, but graffiti artists often attack the walls of serious buildings. Where does art end, and vandalism begin? Can we give more places to paint for graffiti artists? There is no shortage of creators in Lithuania, but there is a lack of space and at least minimal funding for creating true pieces of art. But even in such conditions, graffiti is constantly evolving, new styles of letters or drawings are invented, and even toner cartridges are developing. 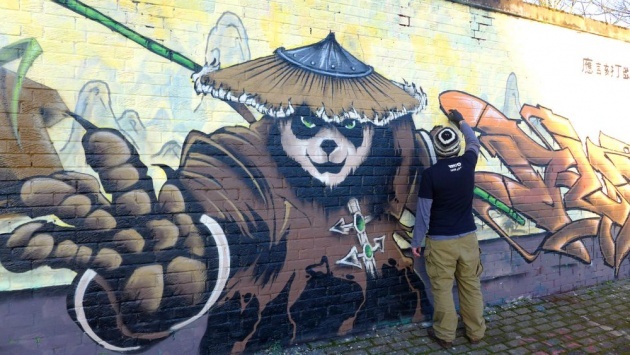 Although the graffiti movement in Lithuania has been just two decades, it is becoming more popular: graffiti competitions are organized, and guests from abroad are demonstrating their skills' excellence. Graffiti culture is the most important thing for real graphite artists. They will never paint or damage cultural monuments but will try to resurrect new buildings or blocks for a new life. 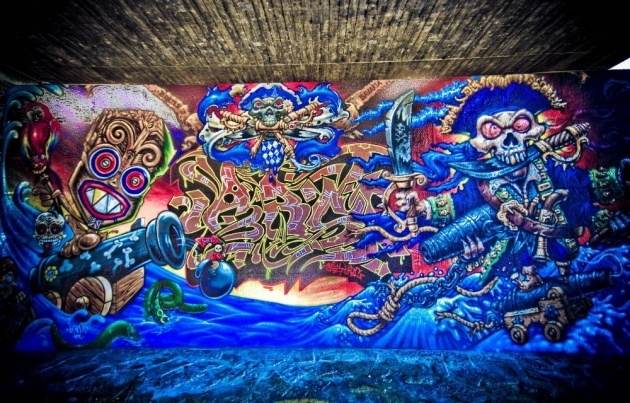 The emergence of new styles, drawing on the walls, shows that graffiti becomes street art. One of the well-known graffiti artists - Banksy. His graffiti creations adorn not only the streets of the world but also the most famous museums. 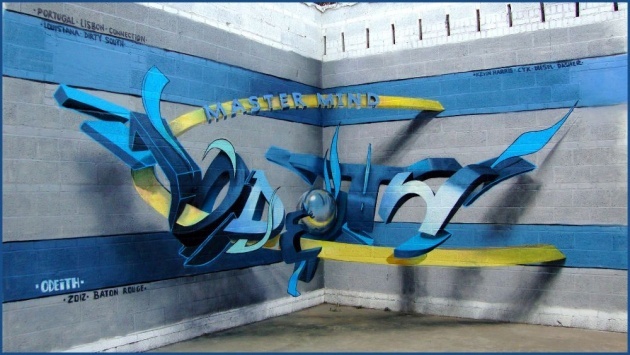 Today's graffiti consists of a variety of styles, ranging from wildstyle, bubble, throw-up, and others to the most complex and hard-to-print, such as wild, Fx / 3D and others. Graffiti has many styles and trends. One of them is called tag graffiti. Such images look like mysterious messages. In addition, the artist’s initials are depicted by drawing tags. Another type of graffiti is bombing. Such images are characterized by the fact that they contain only two or three colors. 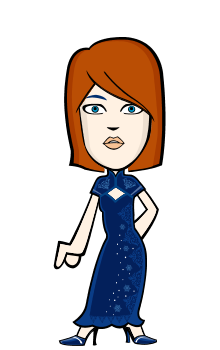 In addition, they are very quickly applied, which affects the quality of the picture. Mostly graffiti of this type consists of alphabetic characters made in an original manner. The purpose of such graffiti is to cover a large surface. Therefore, it can be attributed to hooligan drawings. It is also called Throw Up. 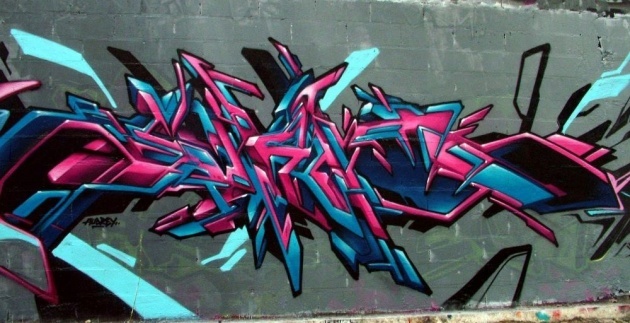 Wild style is the most sophisticated graffiti style. The main characteristic of such images is the interlacing of letters and pointed angles. Why did they call this type of graffiti that way? Because the drawing includes wild, explosive elements. Letters become unreadable, as the artist often makes some original additions, which leads to a lack of understanding of what is written.z. 3D style - this style is distinguished by the absolute volume of letters. To invent such a picture is very difficult. It is necessary to have an extraordinary fantasy and extraordinary thinking to draw a word in volume. In this case, it is necessary that all the letters were combined with each other, and it was pretty clear what was written. Not every writer is capable of this, and this requires many years of training. Messiah Style - the originality of this style is given by the letters as if written on separate sheets and superimposed on each other. This style was invented by a citizen of New York Vulcan, whose works are characterized by a particular color scheme. I just added a few graffiti styles related to letters. There are other styles of graffiti as well. In my opinion, graffiti is art; it is an art form when for the self-expression it is not enough a piece of paper and simple colors. The true graffiti is like a picture, but it is open to everyone. The abundance of colors, transitions, shapes, everything is perfect for the whole picture. The other graffiti side is the so-called tagging and the picture where there is no context, just written some letters reflecting the author. It's not art; it is a daub that ruins the name of graffiti. Wherever I go, I see ugly Adidas, Nike, Solomon and other names painted on the walls, and they are ugly. So graffiti is art, but it is an art as long as it retains its style, and when it passes into the meaningless expression on the walls, it is already becoming vandalism. The only way we can stop this is to encourage the artists - graffiti masters to paint creations that have the sense, that look beautiful and are done with permission. I think the authors themselves are more comfortable knowing that they have the time they want, and not as long as the police will come. Man is not eternal; everything that has a beginning will definitely have an end. Buddhists, Hinduists, and other religions have created and still create the most complex, mass-time requiring mandalas, and they are immediately destroyed after creation. They say there are various reasons why they destroy them. I think, in one way or another, they are trying to emphasize the temporality, like with graffiti. The only difference is that this "macabre" work destroying great creations of graffiti is carried out by government-bound organs or angry losers. But I am for that all ugly drawings on the walls would be repainted or cleaned out. We want it or not - graffiti already exists in our cities, towns, streets. Will the graffiti become a true art, the future will show. Graffiti is a sport, emotion, freedom, and it doesn't fit into a sentence or paragraph. Is it has lasting value? The stucco crumbles, the tags fade, the buildings collapse, and the drawings are crippled by hands of vandals, so it's hard to say something about that lasting value. I know one, it is temporary, just like the world and the planet, but if it reaches at least a few people during that existence, it causes some good emotions or interest to somebody - the value is already created, and all else remains in the minds and hearts of people. We all live physically briefly. Well, if there is resonance, memories and if people talk and remember, and critics had something to talk about and write, then all that is worth, only each person sees it through a different prism. It would be sad and gray if the world did not want to or would no longer be able to draw, and no matter on the walls and fences of the houses or in the margins of the notebooks. It doesn't matter what your canvas is. I hope creative people become better and more sincere, I want to believe it, but I believe that wars can be solved not only by rifles but also by colors that by the way are not just gray. Anyway - graffiti was, is, and will be - no matter we like it or not. And what you think: is it art or vandalism?